Here is the big list of what’s happening in the month of April here on the Gold Coast. Of course, the big attraction this month is the Commonwealth Games. 2018-04-06 – 2018-04-08 – Bleach* at Festival 2018 – Yargeh Wadjeleh (the language of the wind) – Yargeh Wadjeleh is a sound installation created by emerging Indigenous leader Kyle Slabb, with Elders from South East Queensland and North West New South Wales. 2018-04-06 – 2018-04-06 – NightQuarter at Festival 2018 – Opening night – NightQuarter would like to welcome locals and tourists alike to visit the opening night of the NightQuarter Festival as part of Festival 2018, the arts and culture program of Gold Coast 2018 Commonwealth Games. 2018-04-06 – 2018-04-06 – Electrik Lemonade live at Nightquarter – Come see Electrik Lemonade perform live at the NightQuarter. 2018-04-06 – 2018-04-06 – NightQuarter at Festival 2018 – Celebrate with Champagne – Let’s celebrate and pour the champers. Celebrate the opening night of NightQuarter at Festival 2018 with bubbles. 2018-04-05 – 2018-04-08 – Festival 2018 – See Change Sand Tracks Workshops & Yarning Circle – See Change Sand Tracks Workshops will be held at the Kurrawa Park festival site on the same four days that the See Change Sand Tracks art will appear on the beach. 2018-04-05 – 2018-04-07 – Bleach* at Festival 2018 – The Ninth Wave – Against the stunning backdrop of the iconic beach at Surfers Paradise, The Ninth Wave is an apocalyptic narrative by The Farm. 2018-04-05 – 2018-04-15 – Bleach* at Festival 2018 – Live at the CBD Street Party – Bleach* at Festival 2018 brings you a daily line-up of the best local live music acts, from roots to reggae, folk to funk, and everything in between, at the Southport CBD. 2018-04-05 – 2018-04-10 – NightQuarter at Festival 2018 – Sunshine Food Adventures – Focusing on “eating a rainbow” and exploring a variety of fresh fruits and vegetables along with other tasty ingredient. 2018-04-05 – 2018-04-08 – Bleach* at Festival 2018 – Quiet by Nature – Exploring the Currumbin estuary by kayak, audiences are invited to keep their eyes and ears peeled for the unusual, unnatural and ‘wild’ life of the area. 2018-04-04 – 2018-04-15 – City Libraries GC2018 ‘Games Rooms’ – Join us in the ‘Games Rooms’ at libraries across the city to watch and cheer along with fellow Gold Coasters. 2018-04-04 – 2018-04-15 – CBD Street Party – The CBD Street Party is on every day of the Games from early morning until late. 2018-04-04 – 2018-04-04 – Festival 2018 – The Cat Empire – The Cat Empire live shows never fail to deliver in the melody-driven-joyful-dancing stakes, so get ready to get moving. 2018-04-04 – 2018-04-04 – Festival 2018 – Amy Shark – After touring North America, headlining festivals across Australia and landing at #2 in triple j’s 2016 Hottest 100, Amy Shark hits the Queensland Music Stage. 2018-04-04 – 2018-04-15 – Festival 2018 – Museum of the Moon by Luke Jerram (UK) – Museum of the Moon is an incredible seven-metre-wide, floating moon sculpture with detailed NASA imagery on its surface. 2018-04-04 – 2018-04-04 – Festival 2018 – Yothu Yindi and The Treaty Project – Yothu Yindi and The Treaty Project kicks off Festival 2018. Featuring original members of ARIA Hall of Fame inductees Yothu Yindi. 2018-04-04 – 2018-04-15 – Bleach* at Festival 2018 – Queensland Music Stage – The Queensland Music Stage at Surf Parade, Broadbeach will showcase Queenland’s best and emerging musical talents to a diverse global and local audience. 2018-04-04 – 2018-04-15 – Festival 2018 – Agnes and Earl – Discover the quiet, simple world of a pair of octogenarians and their dog in this charming pop-up puppet show. 2018-04-04 – 2018-04-15 – Gold Coast 2018 Commonwealth Games – The Gold Coast 2018 Commonwealth Games will provide a unique opportunity to showcase to the world the sporting abilities of the Commonwealth Nation athletes. 2018-04-04 – 2018-04-04 – Queen’s Baton Relay visits Griffith University Gold Coast campus – Join us in celebrating the Queen’s Baton Relay at Griffith University, and see the baton up close! 2018-04-04 – 2018-04-07 – Bleach* at Festival 2018 – Intimate space – Experience the Hilton Surfers Paradise as never before on this travelling adventure. 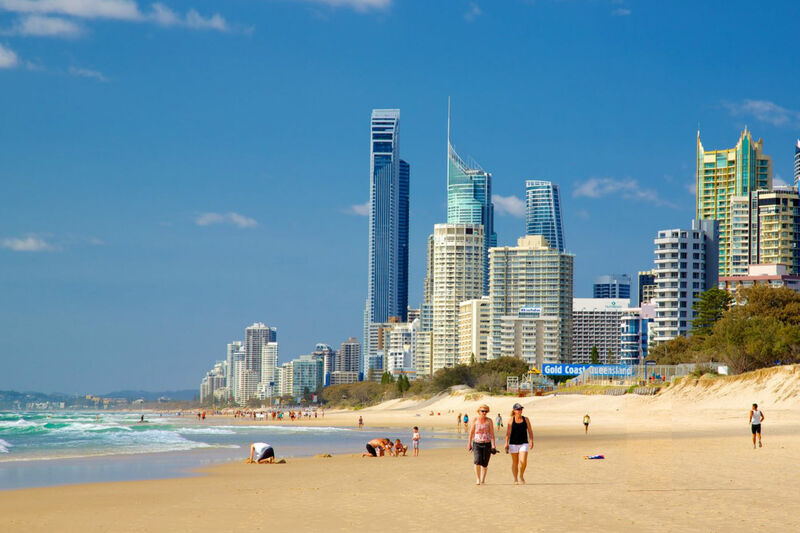 Experience the Hilton Surfers Paradise as never before on this travelling adventure. 2018-04-03 – 2018-04-03 – Queen’s Baton Relay in Palm Beach – The Queen’s Baton Relay is a Games tradition that celebrates the Commonwealth’s diversity, inspires community pride and excites people about the world-class festival of sports and culture to come. Join us in celebrating in Palm Beach. 2018-04-03 – 2018-04-03 – Queen’s Baton Relay in Coolangatta – The Queen’s Baton Relay is a Games tradition that celebrates the Commonwealth’s diversity, inspires community pride and excites people about the world-class festival of sports and culture to come. 2018-04-03 – 2018-04-03 – Queen’s Baton Relay in Burleigh – The Queen’s Baton Relay is a Games tradition that celebrates the Commonwealth’s diversity, inspires community pride and excites people about the world-class festival of sports and culture to come. 2018-04-03 – 2018-04-03 – Queen’s Baton Relay in Robina – The Queen’s Baton Relay is a Games tradition that celebrates the Commonwealth’s diversity, inspires community pride and excites people about the world-class festival of sports and culture to come. Join us in celebrating the Queen’s Baton Relay in Robina. 2018-04-01 – 2018-04-14 – Free yoga in April for veterans and active duty Australian Defence Force members – The Australian School of Meditation and Yoga invites all veterans and active duty Australian Defence Force members to come to any class, any day, at no cost for the month of April. 2018-04-01 – 2018-04-03 – Bleach* at Festival 2018 – Bleach* at Burleigh – Bleach* Jnr and Super Souvenir – pop-up theatre for the young and young-at-heart to let their imaginations run wild across an ocean of exploration and dreamy possibilities on the Easter weekend. 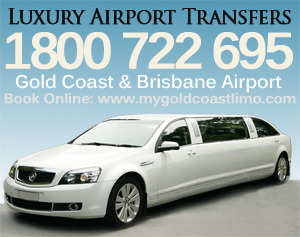 2018-03-29 – 2018-04-07 – Bleach* Festival – Home Visit Australia – It has been said over and over that the Gold Coast is a transient tourism town, but exactly who are the half-a-million locals who call the GC home? 2018-03-24 – 2018-04-15 – Bleach* Festival – Sea Level | The Art of Awareness – Internationally renowned adventure and water photographer Ted Grambeau made a personal commitment to document the ocean at sunrise, creating a body of work that would tell a story and communicate a message of change. 2017-08-15 – 2018-07-17 – Comedy at Mano’s Tedder Ave – Comedy at Mano’s | Tuesday August 15 | 7.30pm Once a month at Mano’s Tedder Ave, resident MC Lindsay Webb hosts a hilarious night of comedy on Tedder Ave, Main Beach! Every third Tuesday they’ll be bringing you some of the best comedians from around the country – all for free! Shows start at 7.30pm. Join them, August 15 at Mano’s on Tedder Avenue at 7.30pm! 2017-08-09 – 2018-04-25 – Comedy at The Avenue – Join them every Wednesday night at The Avenue from 7.30pm for a night of laughs with huge lineups and some of the best comedians from around the country and abroad! They can’t wait to see you there! Book your table early as shows have been packing out with reservations the past few weeks! 2017-07-28 – 2018-07-20 – Based Comedy at Oxenford Tavern – Every Friday night at Oxenford Tavern, Based Comedy is bringing the very best comedians from around Australia and around the world to entertain you – all for free! Shows start at 7:30pm with top headliners and hilarious support acts! Get into it! 2016-07-14 – 2018-04-12 – Based Comedy at the Dog and Parrot Tavern – Free entry! Every Thursday night in the public bar from 7.30pm. Stand up comedians from around Australia take the stage to entertain you. Join Based Comedy for a night with some of the best amateur and professional comedians in the Australia. 2016-07-12 – 2018-04-17 – Based Comedy at the Cecil Hotel – Free entry! Join them at 7.30pm every Tuesday night as some of the best stand up comedians from around the country take to the stage to entertain you. Hosted by Based Comedy with some of the best amateur and professional comedians in Australia. You must be over 18 years of age to attend this event. 2016-07-11 – 2018-04-16 – Based Comedy at Broadbeach Tavern – Every Monday, Based Comedy brings you a swathe of hilarious comedians from Queensland, around the country and occasionally around the world. It’s going to be a great way to start every week with big-name acts, acts you’ve never heard of and acts you’ll surely to want to forget. Every show is free, packed with talent and sure to leave you giggling through the rest of your work week. 2016-07-10 – 2018-04-15 – Based Comedy at The Palm Beach Hotel – Free entry! Join them every Sunday night in The Palm Beach Hotel restaurant as some of the best stand up comedians from around the country and around the world take to the stage to entertain you. Hosted by Based Comedy with some of the best amateur and professional comedians in Australia. 18+ event. 22 & 30 April 2018 – SIPFest – Shorts in Paradise Festival, is an annual showcase of the best short films of the Gold Coast Film Festival. 21 April 2018 – Thundamentals at the Surfers Beergarden – Thundamentals – Decade of the thundakat 2018 tour. One of Australia’s most beloved Hip-Hop acts, Sydney via Blue Mountains trio Thundamentals, will celebrate their tenth anniversary in 2018 with an epic national tour – Decade Of The Thundakat. Announced on Triple J’s Breakfast Show after a very special Like A Version, Decade Of The Thundakat will see Tuka, Jeswon and DJ Morgs take their revered live show across thirty-two regional dates nationwide in early 2018. 4 – 15 April 2018 – Rooftop Markets – Surfers Paradise Rooftop Markets will be held daily from 4-15 April at THE 4217 Urban Village from 4pm – late. 31 March 2018 – Full Moon Party at One Cavill – Full Moon Paradise is the new party concept at One Cavill Beach Bar & Restaurant in Surfers Paradise. The first edition was amazing! Get ready for the Full Moon Party – 2nd Ed – on 31st March, Saturday. 30 June 2018 – Neil Finn with orchestra: Out of silence – A Neil Finn performance feels intimate, even in front of thousands. Experience one of the world’s greatest song-writing masters under the stars on our outdoor stage. Every Sunday (until the end of April) – Beachside Summer Sessions – Heat up your summer social calendar with our Beachside Summer Sessions at BMD Northcliffe Surf Club.